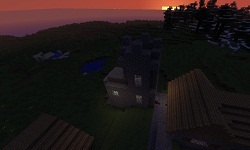 This is a great seed for players just starting survival, as it will provide an immediate place for shelter. 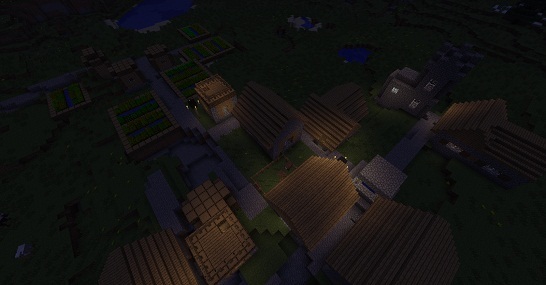 With the fact there is an NPC village right next to your spawnpoint. There are no chests with ANY loot at all, however. But still, it is a pretty great seed. The chapel is the biggest house, in which no npc's go, so it would be the best place to start a home, and then either add on, or create another. It is an excellent seed. Try it out. NOTE: I have noticed a home by the chapel, which is about the same size, but is only one story. A chapel which can easily be turned into a home of your own. the first story is 7x3 and the 2nd and 3rd are a bit smaller.